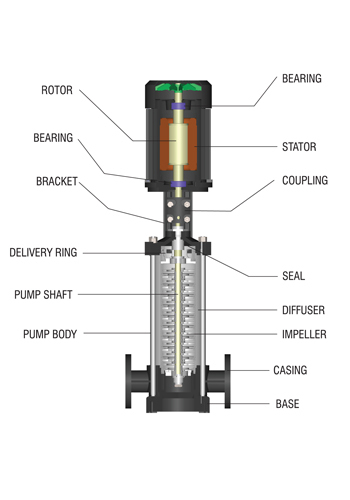 In-line pumps are centrifugal pumps, whose pump discharge and pump suction nozzles lie in a straight line of piping. It is often used in building services applications requiring a high pressure. Multistage inline pumps are designed to boost the inline flow pressure of the water traveling from one point to another. 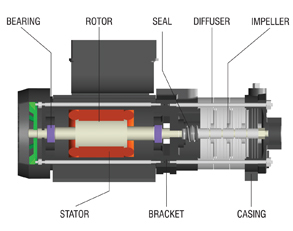 In a multistage inline pump, the water passes through each stage with an increase in the pressure. The pumps are suitable for transferring the liquid between various operations in any process industry, Water distribution systems, Cleaning systems, Pumping Sea water, Pumping of acids and alkalis, Ultra filtration and Reverse Osmosis systems and Fire fighting applications. 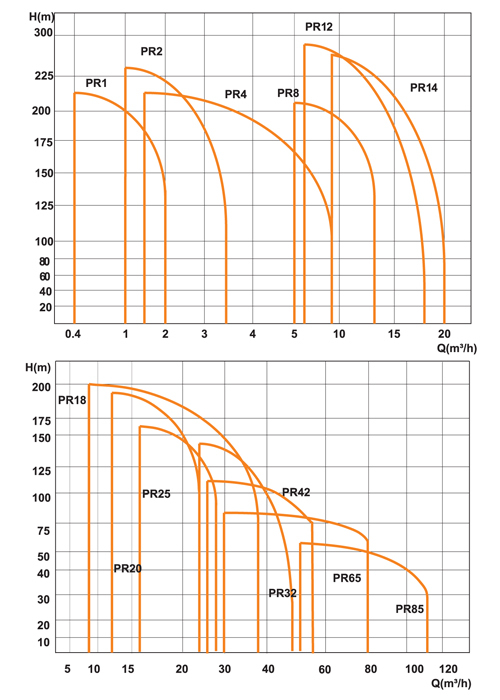 In a Multistage pump, the desired Flow and Pressure can be obtained with a relatively smaller motor size when compared with the classical centrifugal pump. Multistage inline pumps are generally used for services requiring higher head that cannot be generated by single stage pumps. Different variants are available based on the customer needs. The technology of multistage pump is characterized by its ability to deliver a high constant pressure and a considerable flow. The Multistage Pumps are designed and manufactured to provide smooth, quiet operation and easy installation with minimum floor space. All pressure-producing components are made of polished stainless steel for greater corrosion resistance, longer life and higher operating efficiency. The pump is checked during each stage of the assembly process up to the final stage, wherein every pump is checked for flow, pressure, power consumption, leaks, vibration and noise. 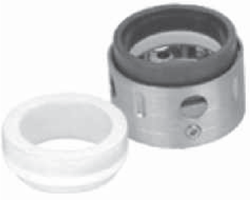 Seals are mounted internally wherein the Stationary part is ceramic or silicon carbide or carbon or tungsten carbide and the Dynamic part is either carbon or tungsten carbide or silicon carbide. Motors, developed and manufactured are standard and can be used virtually for any application. Available in a variety of configurations, Point motors meet the demands of the pumping environment and the pumped liquid itself. To make a positive impact in the pump efficiency level effective measures have been taken in designing every component. Superior manufacturing methods are adopted to achieve higher efficiencies. The best material, high quality manufacturing methods and rigorous safety tests are conducted to ensure superior strength and durability of each product. Enclosure Class Enclosure class IP 55 is standard on Point Pump motors. Enclosure class IP 65, IP 54 and IP 44 are available as options. Extreme liquids call for extreme measures, when it comes to a pumping system. Most pumps are used for watery liquids at temperature below 80o C and pressure less than 10Kg/cm wherein standard seals are used. 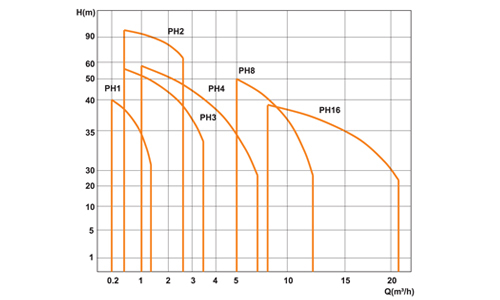 When the liquid parameters exceed these limits, special shaft seal solutions are adopted to guarantee reliable operation. 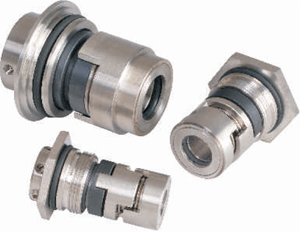 What follows is a synopsis of some of the most common shaft seal variants offered by us. Double shaft back - to - back seal For applications involving dangerous, flammable and very abrasive liquids, a double shaft back - to - back seal, fitted in a pressure chamber can be used. Shaft seal variants Wide range of balanced catridge shaft seals with different seal faces such as Silicon Carbide, Carbon and Tungsten Carbide is also available to handle almost any industrial liquid. 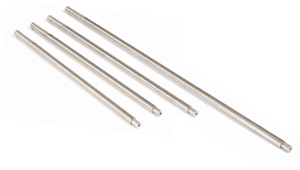 Multistage Pump Shafts are designed and manufactured in 1.4306 DIN W.-Nr., 1.4401 DIN W.-Nr. and 1.4024 DIN W.-Nr. PH and PR range pumps exposed to high pressure and corrosive atmosphere and suitable for any application. 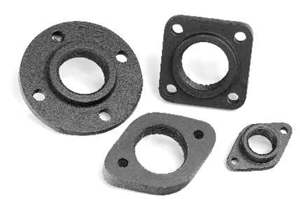 The components are available in a wide range of materials like Cast Iron, Alloy steel and Stainless Steel combined with various treatment processes. For food processing, pharma industries special hygienic materials are available. Hygienic Special casting materials with electro polishing. Acids Alloy steel castings and Stainless Steel combination with various treatments. distribution Cast iron, Stainless Steel, Alloy steel castings. transfer Stainless Steel castings, Alloy castings with various treatments. 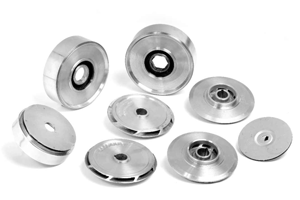 Flanges are available in Oval, Round and Square shapes. Various material combinations are available for special applications.Material specification Standards and mounting standards are suitable to IS, DIN. Multistage pump Impellers and Diffusers are designed and manufactured for high hydraulic efficiency and less loss. The Impellers are dynamically balanced. The Impellers and Diffusers are available in various material grades like 1.4024 DIN W.-Nr., 1.4306 DIN W.-Nr., 1.4401 DIN W.-Nr., Carbon alloy Steels, non ferrous materials like Gun metal, Forged brass, DIN 1705, DIN 17662/17672, Cast Iron GG 20, Investment castings like 1.4301, 1.4304 DIN W.-Nr., etc. Fabricated Impellers and Diffusers are also available.